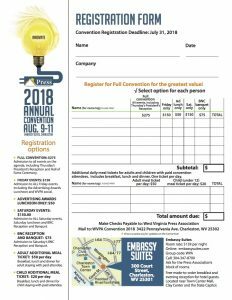 CHARLESTON, W.Va. — Registration is now open for the West Virginia Press Association’s 2018 WVPA Convention, Aug. 9-11, in Charleston. 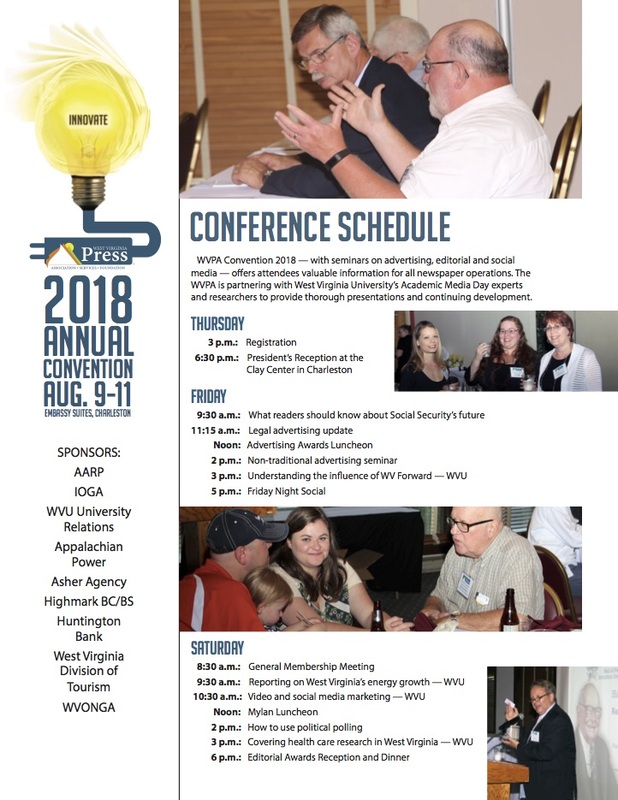 Register now for 2018 WVPA Convention 071018. “It should also be a fun three days with access to the Clay Center, Live on the Levee, our receptions and awards presentations included in the registration. To keep it affordable for the family, there is guest, spouse and children pricing. I encourage you to review the information and register for convention today with WVPA. Please call me with questions,” Smith said. Those planning to attend can make hotel reservations with Embassy Suites at 304-304-347-8700. 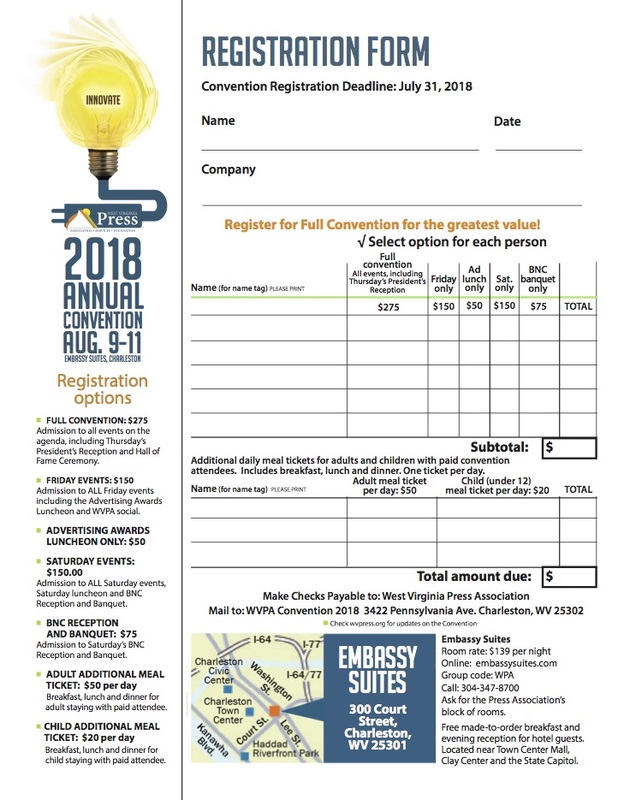 Request the WVPA room code for the best rate. Register now, the discount ends later this month.